Deonn Carter was beloved in his home town of Columbus, Georgia. For years, the 31 year old autistic man worked as a bagger at the local Piggly Wiggly. Everyone who shopped there knew him by name, and he knew their names as well. In August, Carter was shot outside the apartment he shared with his mother. Carter died and in December, 2016, his mother and sister were indicted for Medicaid fraud. Suzette Ragland, Deonn’s mother, was arrested on December 28th. 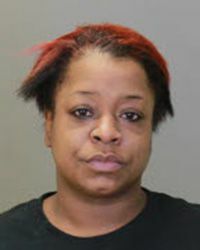 His sister, Kimillia Carter was also arrested. Both are charged with defrauding Medicaid of $22,035. Prosecutors say that both women fraudulently billed the state for services allegedly provided to Deonn. Georgia Medicaid rules allow adults with certain developmental disabilities to receive in home care. Deonn’s autism qualified him to receive such care. The state’s Comprehensive Supports Waiver Program (COMP) allows patients such as Carter to choose their own caregiver. Carter’s mother acted as her son’s representative and designated her daughter Kimillia to be the caregiver. Although Kimillia Carter was qualified to provide home care, prosecutors say she was working for someone else at the same times she was also claiming to be home caring for her brother. The indictment says she and her mother knowingly submitted false time sheets. “By submitting these falsified time sheets, Suzette Ragland and Kimillia Carter caused numerous fraudulent claims for medical assistance to be submitted to Georgia Medicaid through Acumen for services that were not provided,” reads the indictment. Acumen is a Medicaid contractor that distributes funds. Georgia Medicaid fraud is a crime. Because the amount taken exceeds $500, the offense becomes a felony punishable by 1 to 5 years in prison. At this point, Carter and Ragland are presumed innocent. An indictment is only a finding of probable cause. Deonn Carter’s story is tragic. The community lost a beloved friend. Now Deonn’s mother and sister are charged with defrauding taxpayers of $22,000 for care that Deonn never received. Georgia Medicaid fraud is unfortunately extremely common. It is especially prevalent with home care. Patients can pick their own caregivers but often the care is never provided. That means the most vulnerable of patients don’t receive the care they need and taxpayers are defrauded too. Why taxpayers? Medicaid in Georgia is funded with both state and federal tax dollars. Luckily Georgia has a whistleblower law called the Georgia False Medicaid Claims Act that pays whistleblowers up to 30% of whatever the state recovers from wrongdoers. In the last few years, Georgia’s Medicaid Fraud Control Unit has recovered over $190 million for taxpayers and most of that recovery is because concerned whistleblowers were willing to come forward and report fraud.